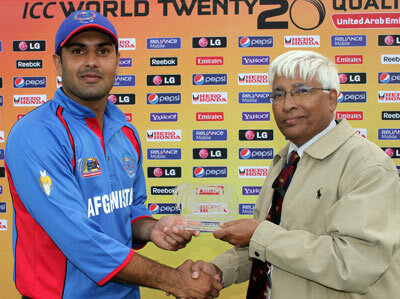 Afghanistan all-rounder Mohammed Nabi has signed as an overseas player for Leicestershire in the T20 Blast this summer. A proven international with Afghanistan Nabi has also featured in T20 leagues around the world, including the IPL, Big Bash, Bangladesh Premier League and the Caribbean Premier League. Nabi will become the Foxes’ second overseas player in 2018, in addition to Pakistan international Muhammad Abbas. “I have heard a lot of good things about the Foxes,” Nabi told the Leicestershire CCC website. Leicestershire CCC Head Coach Paul Nixon said: “I know all about Mohammad Nabi’s qualities in the game. He can make a huge impact in our middle order and is an off-break bowler who operates with great control and skill.